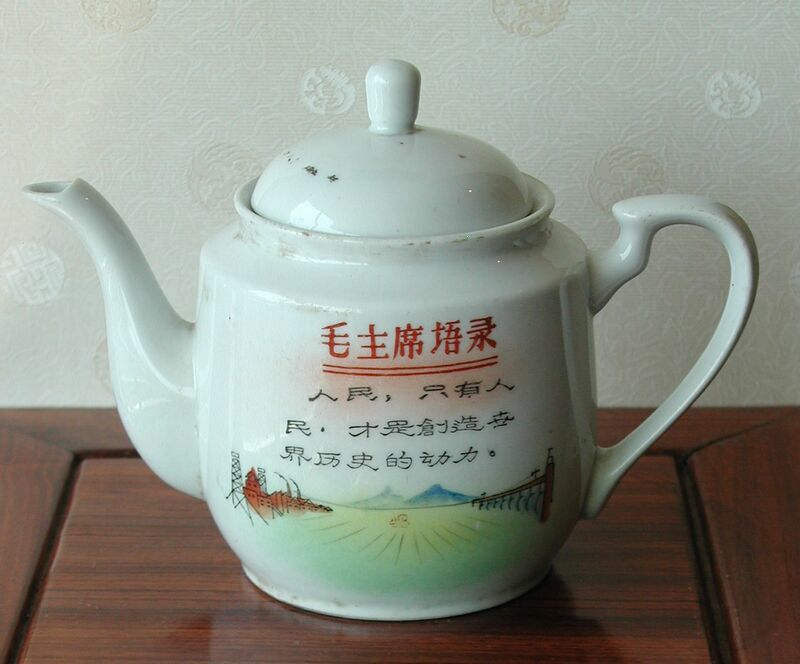 A wonderful example of Cultural Revolution propaganda in the form of a teapot complete with a quotation from Chairman Mao. The idyllic scene shows a dam; a tractor in a field; and industry. 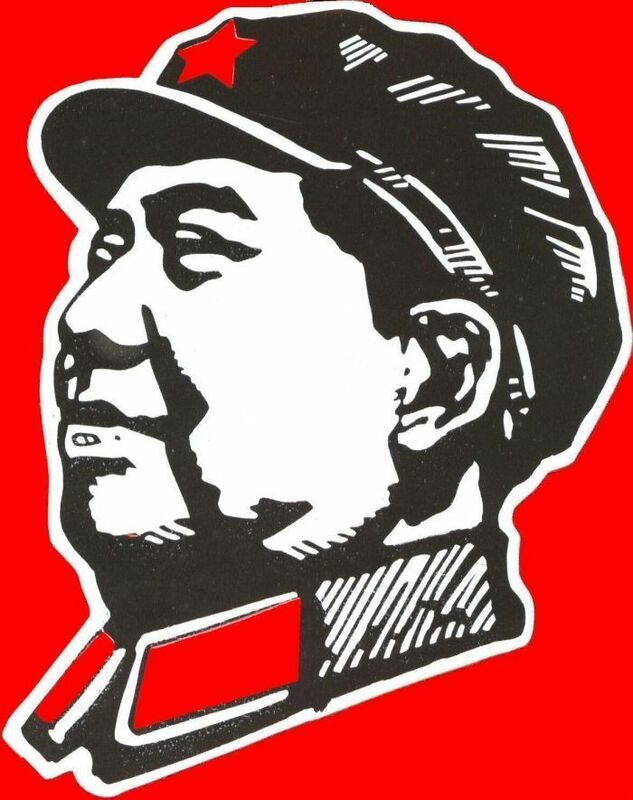 The quotation is from Chairman Mao, 'The People, and the people alone, are the motive force in the making of world history'. 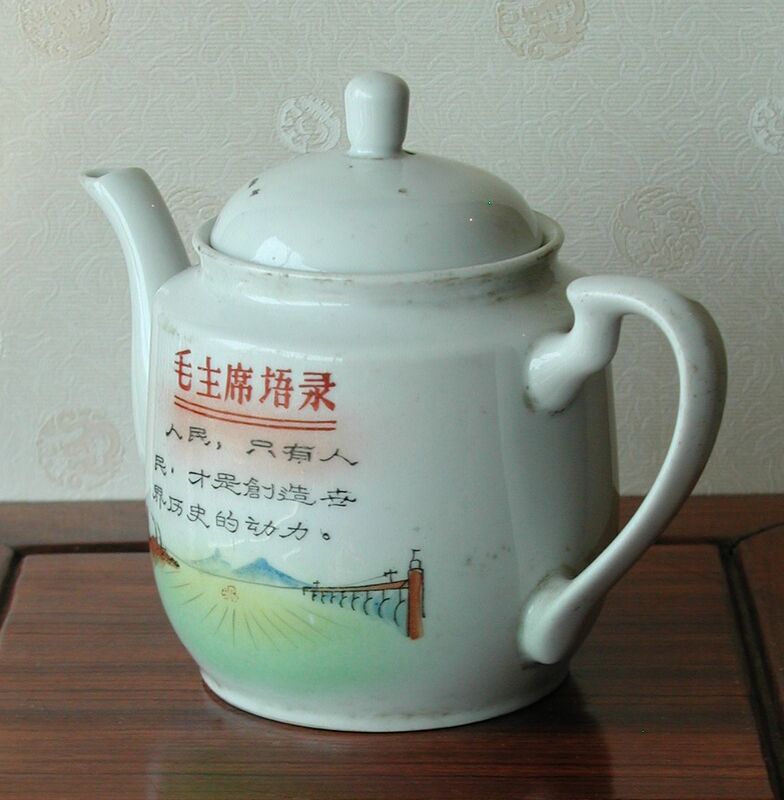 The teapot is in very good condition. There are no chips, unusual for these pots. The cover matches the pot as well. 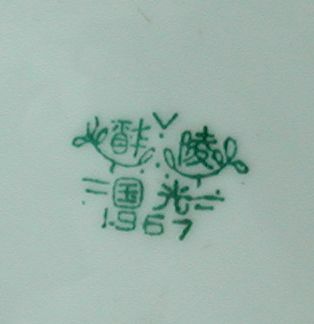 The date of manufacture is 1967. The pot measures 15 cm high and 22 cm from handle to spout.